There are filmmakers who seem destined to be misunderstood as shallow stylists simply because what they do on the surface is so distinctive. 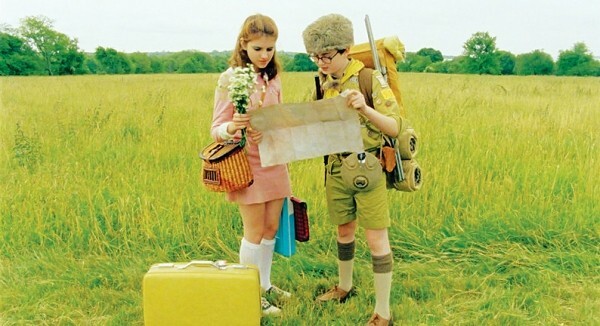 Count Wes Anderson among them—and count Moonrise Kingdom as the latest example that the conventional wisdom is wrong. The story he’s telling here is one that we’ve all seen many times before: lovers on the run. But Anderson gives it his own distinctive tweaking: The lovers are 12 years old, on an East Coast island, circa 1965. Sam (Jared Gilman) is a foster child who flees his Khaki Scouts summer camp; Suzy (Kara Hayward) is the oldest child in an unhappy family. And they’re determined to get away from Suzy’s parents (Bill Murray and Frances McDormand), local law enforcement (Bruce Willis) and the scoutmaster (Edward Norton) trying to track them down. From the opening minutes, it’s undeniably clear we’re in the middle of a Wes Anderson universe. The shots of rooms in Suzy’s house are set-decorated down to the last speck of dust, while an omniscient narrator (Bob Balaban) provides background for the narrative. At times, Anderson’s meticulously orchestrated mise-en-scÃ¨ne results in brilliant visual gags, like the scout troop’s ill-advised treehouse project; at other times, it’s easy to see why some detractors feel Anderson treats all his characters like the stop-motion puppets from his Fantastic Mr. Fox. But Anderson—co-writing again with Darjeeling Limited collaborator Roman Coppola—has always built his dollhouse sets on a foundation of sensitive themes like mortality, family and maturity. Here, he crafts a funny but perceptive spin on the coming-of-age motif, with Sam and Suzy play-acting at adulthood even as they still worry about the ways they’re not quite all grown up yet. Superficial pleasures abound in Moonrise Kingdom, both in drop-dead-deadpan dialogue and wonderful stuff you may catch only out of the corner of your eye. Just don’t fall into the trap of believing Anderson’s moments don’t add up to anything more.